Description: Ian McEwan is known to skirt the edge with his writing; the fringes of society, to test the limits of what we can handle perhaps in our worlds as we bring his writing home with us and allow a whole new being to enter. So it is with The Cement Garden, the story of dying family who live in a dying part of the city. The father of four children decides, in an effort to make his garden easier to control, to pave it over. In the process, he has a heart attack and dies, leaving the cement garden unfinished and the children to the care of their mother. Soon after, the mother too dies and the children, fearful of being separated by social services, decide to cover up their parents' deaths: they bury their mother in the cement garden. All of the children are free thinking independent-minded teenagers. The story is told from the point of view of Jack, one of the sons, the narrator who is entering adolescence with all of its curiosity and appetites that he must contend with (along with the sure confusion of what the children have done). Julie, the eldest, is almost a grown woman. Sue is rather bookish and observes all that goes on around her. And Tom is the youngest and the baby of the lot. The children seem to manage in this perverse setting rather well until Julie brings home a boyfriend who threatens their secret by asking too many questions (like what is buried beneath the cement pile, etc), surely threatening the status quo (however morbid) that the children have come to accept as "normal" and as "home". 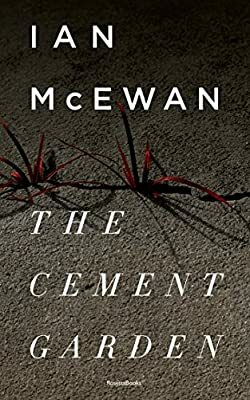 We understand through McEwan that home is not to be defined by anyone else but it is, instead, what you know and have known that makes you feel safe, even if it is rather dangerous and macabre. Rosetta presents modern classics from groundbreaking author Ian McEwan, author of Atonement and First Love, Last Rites (among others) in a special collection that offer readers the full-range of McEwan's smart, savvy, and engaging prose.